eeBoo Studio » Blog Archive » Another Honor for Obstacles: Playthings toy of the week! 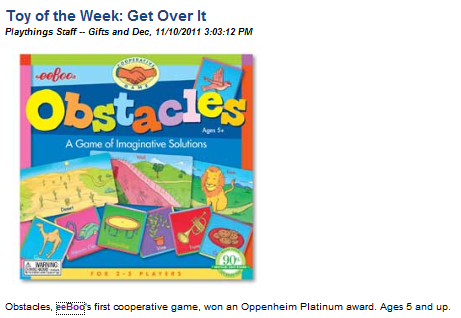 Another Honor for Obstacles: Playthings toy of the week! Playthings, the mini-magazine within Gifts and Decorative Accessories that acts as an authority on all things toy, has bestowed another honor on eeBoo’s Obstacles game by selecting it as its toy of the week! A monthly magazine that serves retailers and vendors of gift products, Gifts and Decorative Accessories has a circulation of 27,000 and 31,000 unique visitors to its site per month. 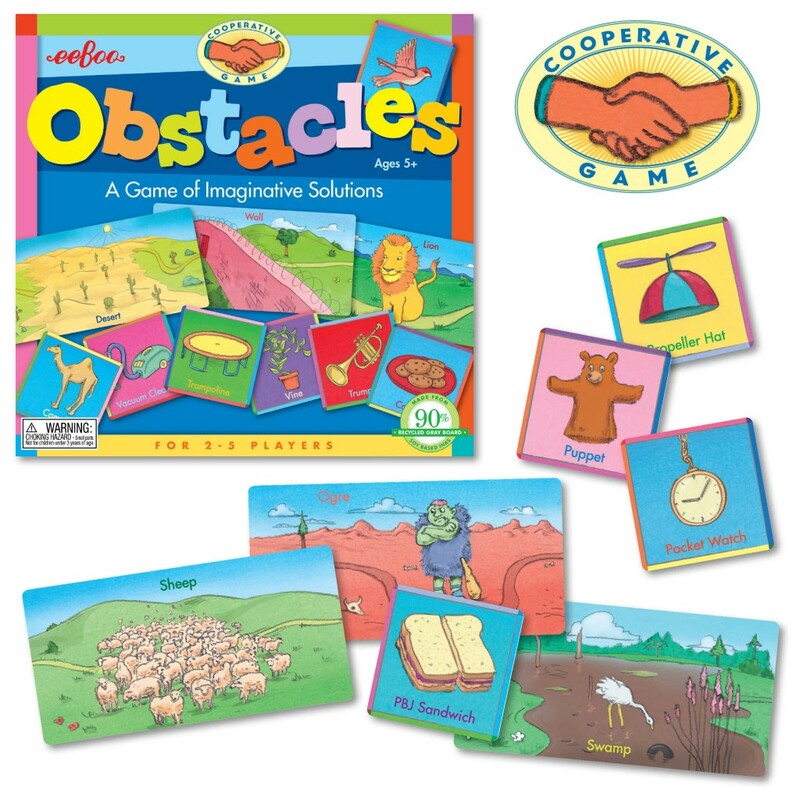 This is the latest in a string of honors for Obstacles, which has already won the Oppenheim Platinum Award, been featured on NBC’s Today Show and won positive reviews in various trade publications, gift guides and family magazines. You can check out Obstacles here.